People visit museums for one single reason – to experience. Experience history, art, or scientific marvel through their own senses. Museums are no less than educational institutions. So what can Museums do to address these challenges in a cost-effective way? One way is to use QR Code technology. Other than marketing and payments, QR Codes can be used to engage people at museums too. Keep reading to know how. How can QR Codes help? A QR Code is a two-dimensional barcode that connects smartphones from print to online media. When a QR Code is scanned using a smartphone, the visitor can view a website, video, photos, or listen to audio. The visitor only needs to have a free QR Code scanning app and access to internet. How to enhance visitor experience in museums use QR Codes? If you house many artefacts, then there is only so much information you can put on display. However, with a QR Code, you can give interested visitors the option of reading up more on the artefact by scanning the QR Code and visiting the information online via their smartphones. Erarta in St Petersburg, a contemporary art museum and gallery, is using QR Codes to provide further information about artists and their works, information in different languages, and option to order a reproduction of the work. In 2017, Williamston Depot museum, Michigan—US, added QR Codes outside 38 historical buildings. These QR Codes, when scanned, provide detailed information on the building. Also during the same year, a boy scout in Massachusetts—US, added PDF QR Codes to the boards marking city’s historic district’s entrance. Near the entrance of the museum, you can set up a QR Code that allows visitors to go to the webpage that gives a detailed audio tour of the entire facility. A dedicated mobile is another way to do this but using QR Codes and linking a website is a much affordable alternative. Both options are much better than the audio-guide contraptions currently being used in most museums. 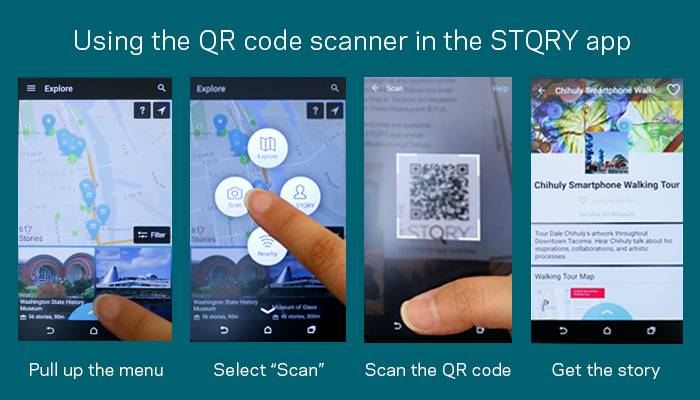 The Tacoma Art Museum uses the STQRY mobile app to allow visitors to scan QR Codes and get audio tours in their app. In June 2016, Kansas University held “Celebrating Opportunity for People with Disabilities: 70 Years of Dole Leadership” exhibition. Each display came with a QR Code. When scanned using a scanning app, visitors could hear an audio description of the exhibit via their smartphone. “No one should have to give up attending arts and culture events because they lose their sight. Visitors who are unable to see or read standard print can still experience the visual elements.” – Jennifer Nigro, volunteer coordinator. In Nov 2016, Torrington Historical Society, installed QR Code plaques across 21 historical sites. The QR Code linked to an audio guide of the building. Tourists can scan the QR Code to learn about the history of the building and site. “The audio tour is an initiative that allows residents and visitors to use audio recordings to explore the history of many buildings and sites in the downtown historic district,” – Mark McEachern, Executive Director, Torrington Historical Society. 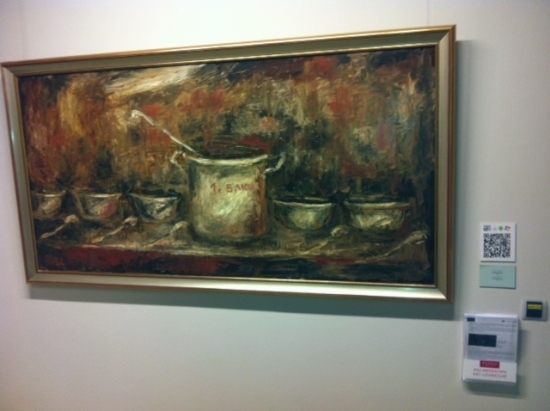 Instead of putting large screens and constructing AV rooms, simply add a QR Code near the artifact. Interested users can scan the code and watch the video on their smartphones. Biennial 2018 (an exhibition at Southern Alleghenies Museum of art, St Francis University Campus) will feature paintings, sculptures, drawings, etc by various artists. There will be a QR Code as a part of an interactive component. This QR Code, when scanned, will redirect users to a video by the respective artist. The artist will make this video talking about his work. The Seoul Museum of History gives visitors the option of playing videos and sign language videos of exhibits by scanning a QR Code. Using this technology, you can set up games such as scavenger hunts to engage younger visitors. The Arizona State Museum runs the ‘Discover Arizona State Museum: A QR Code Museum Contest’ that allows children to play a scavenger hunt using QR Codes as hidden clues and win prizes. This ensures that children are not only engaged but also learning. Using QR Codes you can connect the visitors with the artefacts by allowing them to leave comments, have discussions, or even click selfies and share online on platforms such as Instagram. Comune di Roma ran a pilot project Musei in strada (Museums in the Streets) to showcase some of Rome’s treasured art and culture. How to set up a QR Code Campaign for your museum? Convert information on the artefacts in the form of interactive media such as webpages, videos, photos, and audio and get URLs for each exhibit. Using the content URLs, generate QR Codes with the help of a QR Code Management tool (such as Scanova). The tool allows you to edit URLs, create custom-designed QR Codes, and track scanning activity. 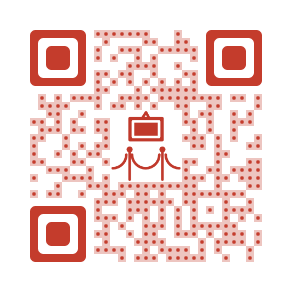 Create visually-appealing QR Codes for your museum exhibits to engage your visitors. Free 14-day Trial. Pingback: Quilcene Museum | Copy.Concept.Content. Good Summary and helpful examples. Stqry looks interesting although a few months after your post date, they have launched in only three cities by the looks of it.